The OA was one of Netflix’s breakout hit series in 2016 and, after a long wait, the much-anticipated Season 2 is now here. This supernatural show features several characters like its lead “The OA” (Brit Marling) who have had near-death experiences or NDEs. Season 1 took us to a world where the boundaries of fantasy and reality were continually breached, as the “OA” might have been Prairie Johnson or Nina Azarova in other dimensions. Due to the intricacy of the series’ storylines, I strongly recommend viewing Season 1 (if you have not already seen it) before embarking on the wild ride of Season 2, as many of the same characters and their personal situations return. Ostensibly, everything revolves around a missing persons case in San Francisco as private detective Karim Washington (Kingsley Ben-Adir) gets hired by an elderly Vietnamese woman (Hélène Patarot) to find her missing granddaughter Michelle Vu. Karim enters a deserted Nob Hill apartment building to find that before she disappeared, Michelle had won money playing the popular “Q Symphony” game on her smart phone. 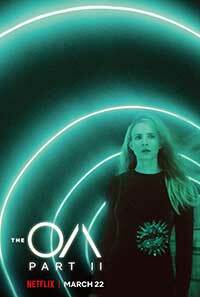 The OA, now known as Nina Azarova (Marling), collapses on a San Francisco Bay ferry, and after a brief hospitalization ends up in a private psychiatric clinic on Treasure Island run by Dr. Hunter “Hap” Percy (Jason Isaacs). In Season 1, Hap had performed numerous NDE experiments on a group that included her and his current resident physician Homer Roberts (Emory Cohen). Karim spirits Nina away from Hap’s clinic but this only kickstarts a storyline with a dizzying array of twists that also bring in OA’s friends Steve Winchell (Patrick Gibson), Jesse (Brendan Meyer), transgender Buck Vu (Ian Alexander), Angie (Chloe Levine), Alonso “French” Sosa (Brandon Perea) and former teacher Betty Broderick-Allen “BBA” (Phyllis Smith). Karim finally confronts Ruskin about his dark deeds and is led to Michelle “Buck” Vu who is resting in his mansion with her grandmother at her bedside. Detective Washington is redirected to the old house once more while Nina, Homer, Hab and BBA’s crew near a final showdown at Treasure Island featuring the group’s signature ritual dance moves that will try to bridge the time/space continuum separating them from the OA. Just buckle up and get ready for a surprising ending that hints at yet another season. The creative team of Brit Marling and Kat Batmanglij are kindred spirits on the same wavelength wherever it may lead this complex and occasionally confusing saga of multiple dimensions and alternative lives. The OA is unlike nearly everything that Netflix offers its viewers as things rapidly come and go without explanation and yet, in the end, it all coheres as a play-within-a play. The OA possesses an originality rarely found in today’s video fare. It tests our willingness to entirely suspend disbelief and becomes one of the most rewarding shows that I have seen in this or any other year. Whether or not you believe in angels, the afterlife, or interdimensional travel, this series is well worth watching. 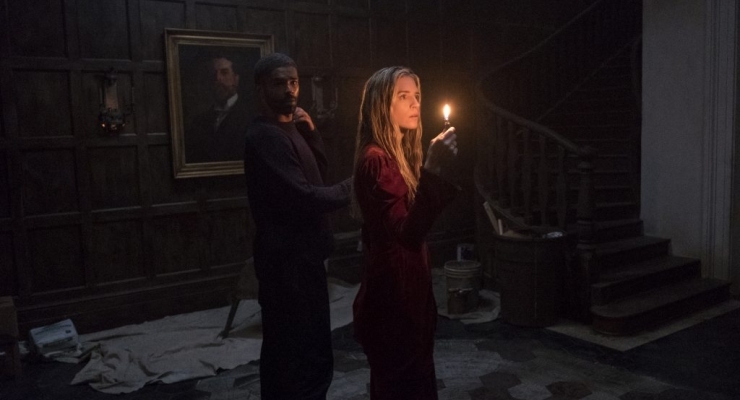 While I am eagerly awaiting Netflix’s Stranger Things: Season 3, I would feel bereft if The OA did not get at least one more turn. Highly recommended. A strong sequel to one of Netflix's most original and thought-provoking sci-fi series that will engross its audience and open questions about the existence of alternate universes, angels, and the afterlife.